I’ve featured the sets from dozens of popular movies and TV shows over the years. Here are 5 that Netflix started streaming in January that will be fun to revisit. Okay, I threw in a TV apartment with the movie houses, but I couldn’t resist. 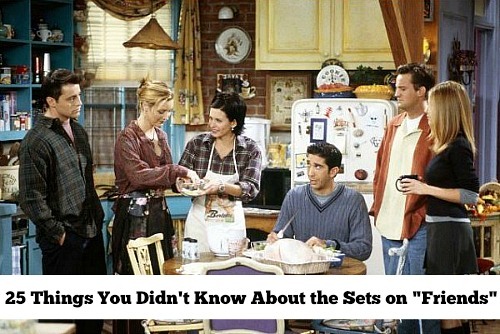 Friends is one of my faves! Any other new movies or shows you’ve come across on Netflix lately that you enjoyed watching because of the sets? Gilmore Girls, also streaming on Netflix right now! Angela Lansbury's Victorian in "Murder, She Wrote"
OMG! I am embarrassed to admit that I only got 2 of these houses right, from the pics you showed. Now that you mention it, I can totally see the resemblance between that entry hall photo in Mr. Mom and the one from Stepmom, Alie. Funny since the houses themselves couldn’t be much more different! I was JUST talking about Mr. Mom the other day!! It’s one of my favorites. 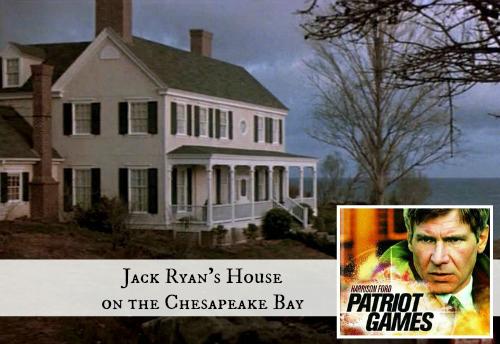 That house always made me feel warm and cozy – it reminds me of New England. I’m going to have to go watch this movie now 🙂 Thanks!! That’s a fun one. Did you see Michael Keaton get the Golden Globe last night for “Birdman”? Made me want to watch some of his old movies like “Mr. Mom” again! It’s funny how Hollywood does things…I, too, live in a “Movie House” (more on that later), but mine is located in Michigan and the movie setting is California…just the opposite of “Mr. Mom”! In this case, the filming was done in January so the snow had to be melted and 10,000 leaves had to be glued to a tree…all to make it look like SoCal. So, the movie is so bad, it was only released in limited markets, many years after filming. It starred Adrian Brody, Michael Chiklis (sp?) and Colin Hanks and it is truly horrible (I have a copy), but it was fun to see my house in it. We purchased the house 4 years after the filming and didn’t even know about it until the neighbors informed us, but it was big news in this small town and caused quite a stir at the time and also caused the homeowner a lot of grief…sadly. She was not informed of the movie’s subject matter until after it was all over…she would never, never have agreed otherwise. Oh, wow! That’s so interesting, Marcie. Funny that it’s the opposite of “Mr. Mom” (filmed in Michigan, which passed for California, instead of the other way around) and that they melted the snow and glued leaves to the tree (!). The story of your house reminds me of the documentary called “The Chair” that followed two filmmakers as they made a movie. Did anyone else see that? When one of the homeowners in Pittsburgh found out about the (rude and crude) subject matter of the movie they were making, she changed her mind about letting them film at her house. I couldn’t blame her! I was intrigued to what movie Marcie was referring, so I searched those 3 talented actors and “HIGH School” popped up- ha- pretty self explanatory! It reminded me of when a movie was filmed at my folk’s office building and I took my young sons to meet the actor – Vin Diesel-and he talked with my sons for a long time and was incredibly sweet, kind, patient, generous and intelligent. I was so impressed with him and my sons thought he was sooo cool, when the movie came out (A Man Apart) we couldn’t let them see it cuz it was R!! (It also isn’t very good) When they saw it years later, they only had great things to say about what a cool guy Vin was. 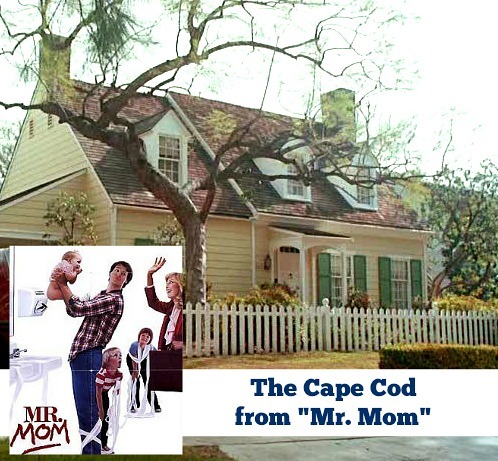 Anyway, enjoyed this posting and always thought I’d live in a house like that great Cape Cod in Mr. Mom! I live in L.A., and believe me, there are SO MANY houses exactly like that- (two on my block!) but I live in a 30’s Spanish which is very L.A. I love those classic Capes. We don’t have as many here in Ohio, unfortunately. How fun that your boys got to meet Vin Diesel — he always seems like a great guy in interviews, so it’s nice to hear that he really is one! Does anyone remember his movie “The Pacifier”? There’s a good house in that one, and it’s a cute story, too. BINGO! “High School” is correct! Pretty awful, right? Did you see the trailer? Where they threw a fridge through the front window…a bit of movie magic there…they really did throw a fridge through the window but, they replaced the glass with fake stuff then carefully put back the original, which the homeowner was extremely attached to! Her daughter told me she loved that window…we plan to replace it with what was probably the original, four double hung instead a big picture window. I love to watch Jezebel – for the wonderful performances (Bette Davis, Henry Fonda, George Brent, and so on) AND for the magnificent sets – Julie’s town house and her plantation, Halcyon. I don’t care if it was all done on a sound stage – the sets are amazing. I didn’t know that was streaming right now so I’ll have to look for it — thanks, Carol! Hi Julia – I really enjoyed Winter’s Tale. NYC brownstone and old New York type themes. Colin Farrell’s not shabby either. Gilmore Girls. Lorelei’s house and Inn are amazing. 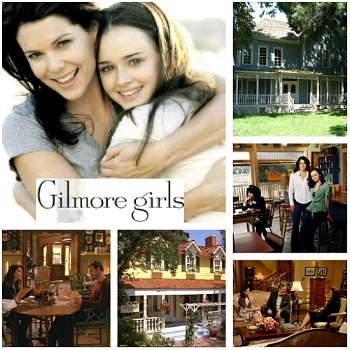 Really all of Stars Hollow is amazing; I’d love it live somewhere like that! I just recently started watching Once Upon A Time. I love Mary Margaret/Snow White’s apartment, Emma’s apartment in New York (season 3), and Regina/The Evil Queen’s office in Storybrooke. Lots of fun costumes and makeup, too. : ( You missed my absolute fave and that’s the cottage from 2006’s “The Holiday” with Cameron Diaz, Kate Winslet, Jack Black, and Jude Law. If I ever build, I’d pattern it after that lovely home! Thanks for sharing all the beautiful homes with us here. Ooops, sorry! 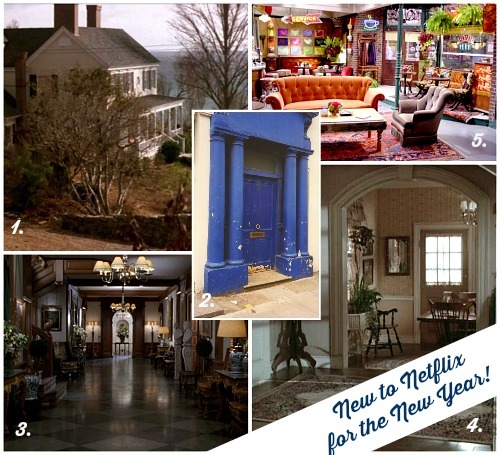 I was so caught up in looking at all the houses, that I completely skipped over the “Netflix” part! 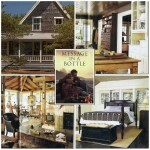 I have your post on “The Holiday” cottage bookmarked; I’m that in love with it. Thanks again! Someone else was just mentioning that to me. I’ve got to see it! Love the beautiful, almost Swedish looking cottage taken by the Dashwood family in “Sense and Sensibility”. 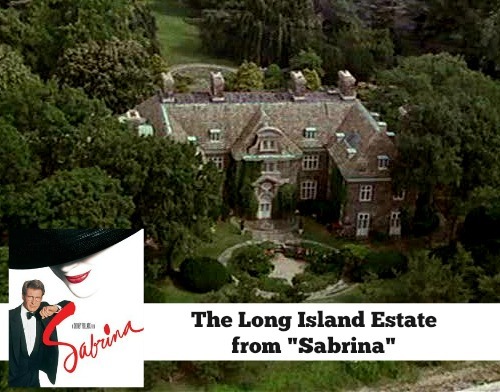 Also, have fantasies about staying in the Italian villa on the lake in “Enchanted April”. Those are good ones, too! Left out one of my favorites–the amazing interiors of the African house in the old John Wayne movie “Hatari”. Classic safari meets Anglo comfort.. Bonus attraction: the cool, uncluttered 1960’s outfits worn by Italian actress, Elsa Martinelli.